Police Ombudsman Al Hutchinson is under renewed pressure to resign as a damning new report reveals that he has lost the trust of key members of staff. In April two separate investigations were launched into the Office of Police Ombudsman for Northern Ireland (OPONI) after its chief executive Sam Pollock resigned claiming the Northern Ireland Office had interfered in the office and that there had been a “significant lowering of the professional independence” between OPONI and the PSNI. Mr Hutchinson insisted his office had “real and practical independence from the PSNI”. In June Police Ombudsman Al Hutchinson rejected nationalist demands to resign after his investigation into the Loughinisland massacre was branded a `whitewash’ by the families of six men shot dead by the UVF in the June 1994 atrocity. Less than a week later Community Relations Council (CRC) chairman Tony McCusker published the first of the two investigations into OPONI. While Mr McCusker cleared the NIO of interfering in OPONI he concluded that Mr Hutchinson’s lack of leadership had undermined the effectiveness of the office. Mr Hutchinson subsequently rejected calls for him to resign. However, The Detail has now obtained a confidential draft copy of CJI inspector Michael Maguire’s report into allegations that OPONI had lost its operational independence from the PSNI. The report, which is not due to be published until September, reveals how ombudsman investigators requested to be disassociated from OPONI reports after their original investigation findings had been significantly altered to reduce criticism of the police. “There have been serious divisions amongst senior management of OPONI which has affected the operation of the office in its day to day functions and the morale and attitude of staff throughout the organisation,” it states. Some OPONI staff believe that a lack of government funding to investigate historic cases is directly linked to Mr Hutchinson’s publicly stated view that his office should not have to deal with Troubles-related killings. A 2008 ombudsman’s business case for additional funding to investigate historic cases has still to be delivered three years on. CJI inspectors looked at more than a dozen historic cases in which the ombudsman was asked to investigate allegations that police failed to properly investigate Troubles’ murders. The case files investigated by CJI inspectors included the McGurks, Loughinisland and Claudy massacres, in which 30 people were murdered. “These cases had been under investigation for several years but inspectors found there was a lack of consistency of approach across the cases with regard to how reports were checked for quality and inaccuracies. “There was little consistency in the processes for managing investigations, how families were kept informed of progress, or how cases were prioritised for investigation. 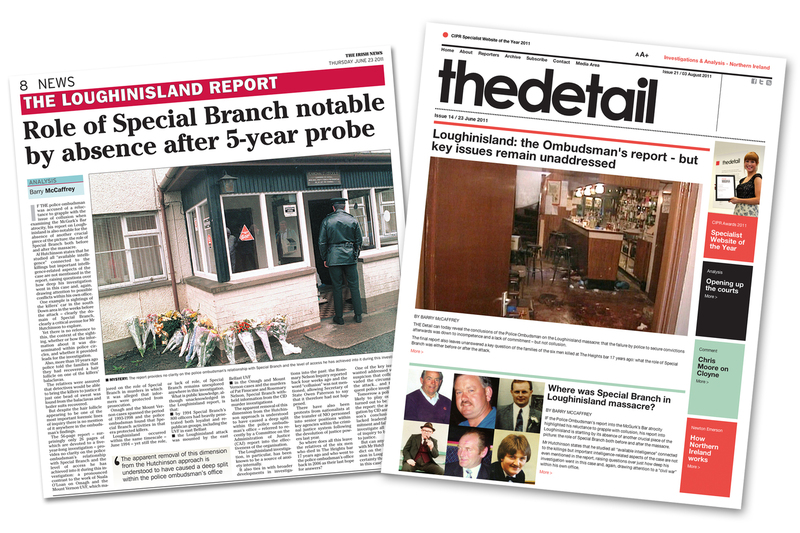 Senior ombudsman officials were said to have been “seriously divided” over a lack of criticism of the RUC/PSNI investigation of the Loughinisland atrocity, in which it is alleged police protected informers involved in the murders. Inspectors also found that an original report into the McGurk’s Bar atrocity had been altered to reduce criticism of the police. The report had to be reverted back to its original version after criticism by the families of the 15 victims. In 2005 the ombudsman’s office was asked to investigate the RUC handling of an IRA booby trap bomb, which killed three people in Derry city in August 1988. The IRA had abducted the flat’s owner and left a booby trap bomb to kill members of the security forces who would come to look for him. In 2008 draft reports of the completed investigation were prepared for the ombudsman’s senior management team, known as the Critical Review Panel (CRP), for approval before it was made public. However, CJI inspectors found the way in which the `Good Neighbours’ draft reports were handled was symptomatic of major failings in the ombudsman’s office. CJI inspectors found that the senior investigator in charge of the case believed his report had been completed in October 2008. 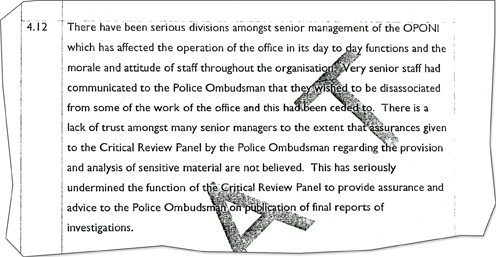 In May 2010 the report was circulated amongst ombudsman senior staff, with the investigator again being led to believe there was agreement on the report’s findings. The investigator and another ombudsman director told CJI inspectors that Mr Hutchinson had agreed at that time that the `Good Neighbours’ report was ready to be published – with the investigator’s original October 2008 findings remaining in place. “It is unclear why the report was changed but following a meeting on May 24, 2010 involving the Police Ombudsman, Senior Director of Investigations, Director of History and Director of Communications a further report was redrafted by the Director of Communications at the dictation of the Director of History. It added: “The case illustrates a process operating by which a report which has been redrafted several times with no changes to the findings can be amended in a short space of time to provide completely different outcomes. The ‘Good Neigbours’ omb report remains unpublished. “The critical element in effecting the changes to the report was the differing interpretation of sensitive material by the investigators and the confidential unit. “The final arbiter in these situations is the Senior Director of Investigations (SDI) who was present at the meeting on 24 May, 2010 and who supported the changes. Mr Coupland has been on leave from OPONI for more than a year. An ombudsman spokesman has confirmed to the Detail that an investigation is currently being carried out following an allegation that in 2010 he had previously misled an external investigator, who had been tasked with resolving an internal dispute between himself and the ombudsman’s chief executive Sam Pollock. 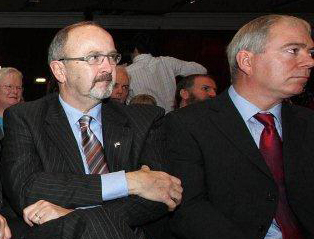 The issue had been raised as a major cause of concern in Community Relations Council (CRC) chairman Tony McCusker’s previous investigation into OPONI. Mr Coupland defended his comments at that time, stating that he had been attempting to protect sources within OPONI. When contacted by the Detail an ombudsman spokesman was unable to identify who has been asked to carry out the investigation, its terms of reference, when it began or when it is expected to be completed. “We will not comment in any detail of personnel matters,” the spokesman said. “The office can confirm, however, that it has commissioned an independent investigation of an issue referred to in the McCusker report concerning the alleged conduct of our Senior Director of Investigations. Sensitive intelligence material within the ombudsman’s office is controlled by the Confidential Review Unit (CRU). However some ombudsman’s senior investigating officers (SIOs) believe that key intelligence is deliberately withheld from their investigations. CJI inspectors even found that some members of the Critical Review Panel (CRP), made up of Mr Hutchinson’s most senior staff, also believed that key intelligence was also being withheld from them as they attempted to scrutinise the veracity of OPONI reports. “Members lack confidence that all sensitive material has been provided and appropriately analysed and assessed to enable a full and thorough investigation to take place. “SIOs are not confident that they have obtained all relevant sensitive material on which they can make an assessment and appropriately direct the investigative process. “There is a lack of trust amongst many senior managers to the extent that assurances given to the Critical Review Panel by the Police Ombudsman regarding the provision and analysis of sensitive material are not believed. 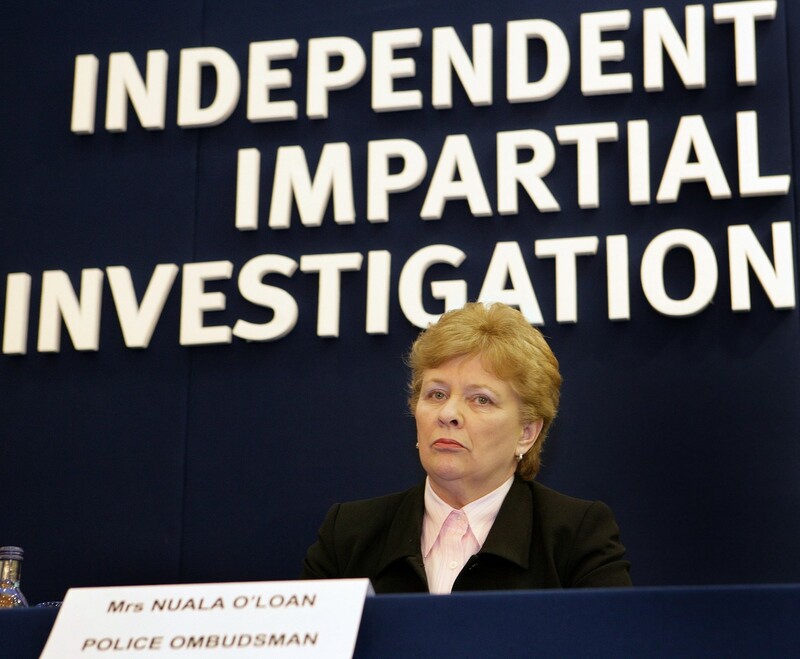 Inspectors identified major divisions between the ombudsman’s civilian staff and former police officers employed by OPONI. Just under half of OPONI’s investigators are former police officers. In 2008 a decision was taken to change the structure of the ombudsman’s office to include a new directors’ management team. Only the ombudsman’s chief executive, Sam Pollock, was not a former policeman. CJI inspectors said the perception that some OPONI staff and police officers had “become too close” was fuelled after senior staff were witnessed socialising together at a number of public events. CJI inspectors said it was legitimate for ombudsman officials to redraft reports in order to correct mistakes which have been identified prior to the final stages of publication. However the OPONI’s practice of regularly briefing families and other interested parties on the contents of reports prior to final publication posed a “substantial organisational risk” that people could suspect that redrafted reports had been unfairly tampered with. “This can only serve to fuel a conspiracy theory that the `product’ has been `got at’ even though any changes are based on new evidence and/or new material. CJI inspectors were advised of a dispute which arose between senior ombudsman officials after one OPONI director had expressed the belief that an agreement existed with the PSNI that Special Branch should not be publicly criticised in OPONI reports. “What is clear from the inspection is the flawed nature of the investigation process of historical cases which seems to be buffeted from a number of different directions leading to a lack of confidence of many of those involved in the process including some investigators themselves, victims’ families and their representatives and the police. The Detail contacted the CJI and the OPONI but no one was available to comment on the content of the report.